I went to Egypt to see the pyramid. 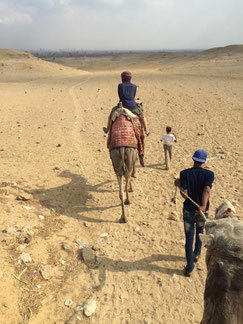 It was my dream to ride the camel in the desert, so it came true! ho-ho! Well.. I was surprised that there are a few cameleer who are children. They speak "camel language" as adult do. Wow! I was so impressed!! I even didn't know that there are camel language in the world. Anyway, I want to say thank you for everything that my travel was finally done safely.